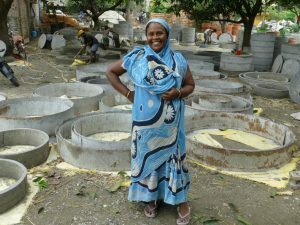 Najima went from struggling to feed her family to starting a concrete septic rings business employing eight men. You can support CSS as they empower the materially poor on the outskirts of Kolkata. CSS offers micro-loans averaging less than $100 to around 30,000 micro-entrepreneurs; they go beyond that to strengthen the communities in which they operate through education, animal husbandry, and other services. The 2018 India Fund would like to make a grant of at least $20,000 to CSS to enable them to add more railway stations to those they serve. 100% of your donation will go to CSS.